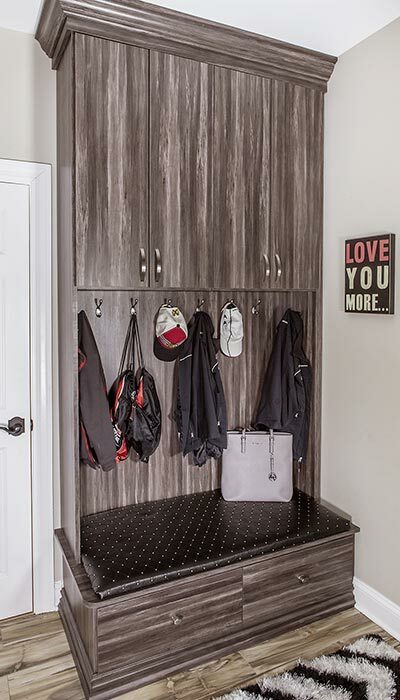 The custom design of this large mud room and laundry area stands poised and ready to handle the full storage and organizational needs of a large family in addition to any guests that might stop by. All shoes are kept on stand-by in the slanted shoe shelves near the back door — waiting to be called for duty at any time — ensuring dirt will NOT be tracked all over the house. 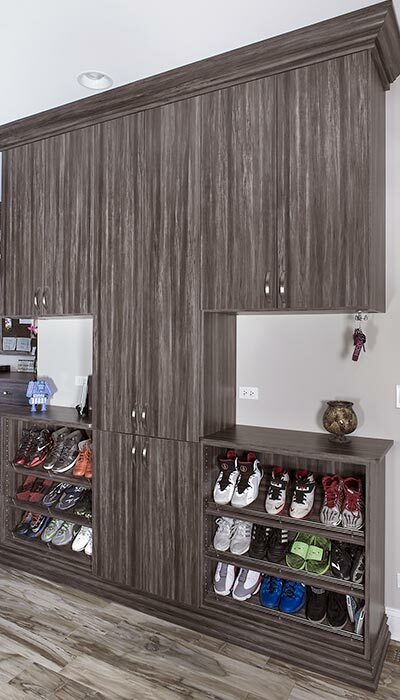 A small bench is built into to the coat organizer, offering a convenient place to sit and put on the shoes or boots. 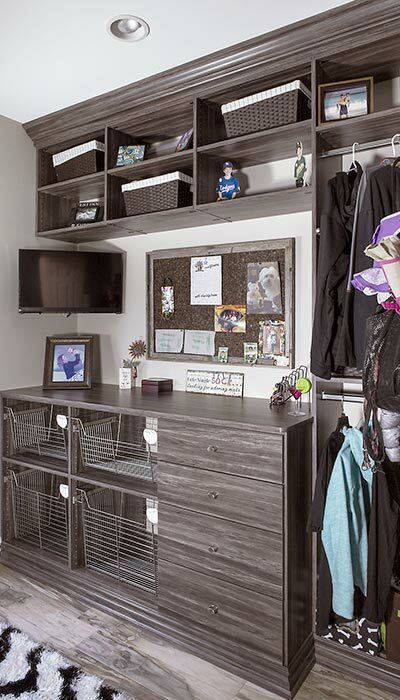 A desk-like credenza holds small items like gloves and keys in drawers and baskets. 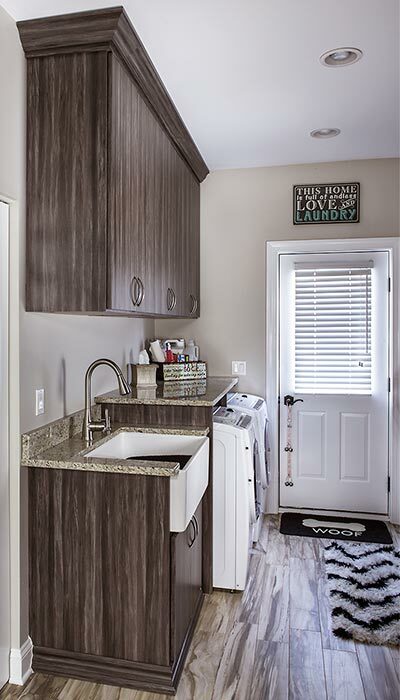 A custom matching cabinet for the laundry sink was built to keep everything coordinated in the same exciting warm gray wood tone laminate.